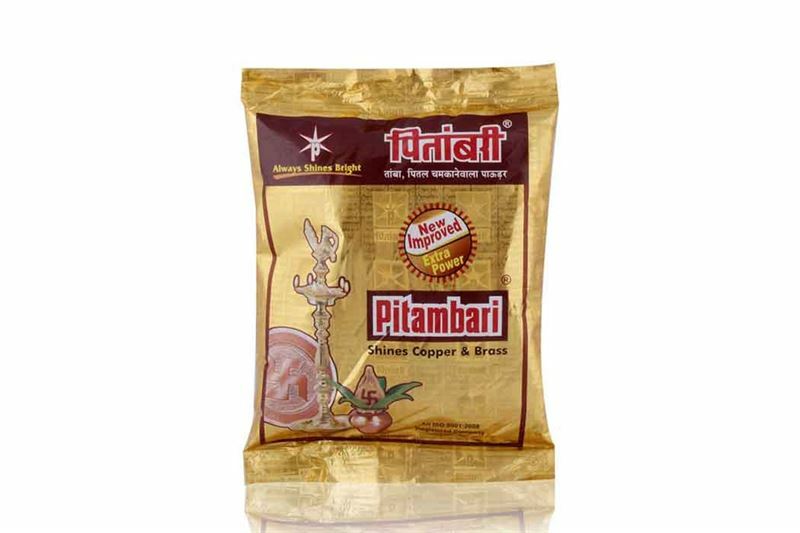 Pitambari Shines Copper and Brass is very much effective and the most excellent of use for shining your old copper and brass metallic vessels. It is the long lasting brightness after using this powder. It effectively takes away the most stubborn stains from utensils, hardly depart traces after cleaning.